Mozilla has released Firefox Version 37.0 on March 31, 2015 to the world with various security fixes and HTML 5 support. Firefox is an open source web browser developed by Mozilla Foundation and supports various platforms. The new version Mozilla Firefox 37.0 introduces HTTPS bing search for secure searching, improved performance, extending HTML support by adding support for CSS display:contents, implementing subset of Media Source Extensions API to allow native HTML 5 playback on YouTube and various other security fixes. Let's discuss what's new in Firefox 37.0. Yandex as the default search provider for the Turkish people. Bing now will use HTTPS for secure searching. Improved performance against phishing sites. Encryption of HTTP traffic where the server supports HTTP/2 AltSvc. Inproved WebGL rendering on Windows Operating System. Adding Media Source Extentions MSE API to allow native HTML5 playback on YouTube. 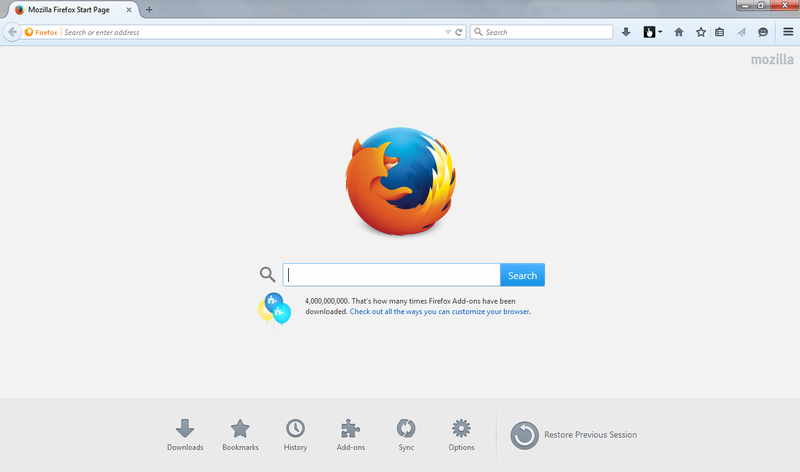 Firefox 37.0 is available for Windows, MacOS, andoird and for various distributions of Linux. Here's where you can download Firefox version 37.0. Freifox for Android Download here. Download Firefox from the Firefox download page to your home directory. Close Firefox if it's open. This way, you can have an open source web browser for your use. Firefox has recently improved its navigation features and has worked on making it lighter for its users, resulting in a fast and more secure way of browsing the web.